Happy Friday everyone! We kicked off our second year of salons on Tuesday with an intimate group of women at Heritage Littles - what an amazing evening! 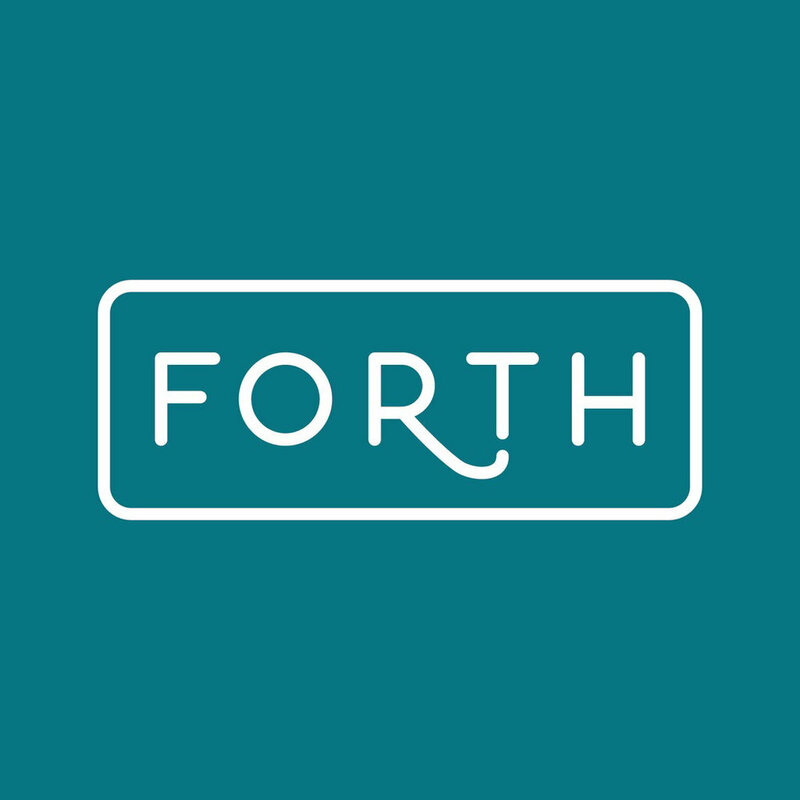 We'll be sharing details from the event in the coming weeks on the blog, but in the meantime it's 4xForth Friday! Today we're featuring Alison Kuczwara, owner of the branding and design studio Tiny Bold Creative! If you're not familiar with the series, each Friday we're highlighting one of the lovely women in our community by learning about her favorite Chicago places and restaurants, hearing what websites she's all jazzed about, and gaining some inspiration from destinations she's dreaming of traveling to next. Check out Alison's picks after the jump! Places I frequent in Chicago: 1. Movies in the Park - When it eventually gets warm, nothing will be better than a picnic in a park while watching a classic movie - for free! 2. 826CHI/The Boring Store - The Chicago branch of the national non-profit tutoring organization is a place of pure joy. Volunteering here is super fun, and don't let the name of the storefront trick you - it has very un-boring things! 3. Quenchers Saloon - So many beers. The first bar I ever visited in Chicago is still a favorite. Made even better when the Polkaholics are playing in the back. 4. Davis Theater - The winter solution for not being able to go to my #1. Places I’ll go someday: 1. Italy - Wines & scooters (not mixed) 2. Studio 8H in Rockefeller Center - I've been here on a studio tour, but one day it'll be to see Saturday Night Live, live 3. Alinea - Because even a non-foodie like me can appreciate wonders 4. Great Barrier Reef - Australia has so many places to explore, but this would be tops on my next visit. Best bites in Chicago: 1. Pequod's Pizza - Stop looking at other 'best-of' lists, because this is the best deep dish in town. Also, $4.95 weekday lunch special for a 7" pan pizza plus pop or beer. Freelancer field trip, anyone? 2. Reno - For a not-so-deep option, try the butternut squash & sage pizza. Come back in the morning for delicious bagels. 3. Joy Yee's Bubble Tea - I can't speak for their food, but if you are in Chinatown, bypass all other signs for bubble tea, and go here. Fresh fruit, even more fruit toppings, and tapioca balls for days. (A few other locations are spread out around Chicago if a trip to Chinatown isn't possible) 4. Jeni's Ice Cream - Originally from Ohio, this Southport Avenue outpost is very welcomed. Everyone on the planet should try their salted caramel ice cream … and really, every other flavor, because it's all amazingly tasty. Sites I lurve: 1. Apartment Therapy - It's like snooping around the houses of the coolest kids you wish you knew. 2. Oh Happy Day - The entire site radiates - you guessed it - happiness. DIY projects and party ideas abound. 3. Design Sponge - I got addicted to this site years ago and can't break away. Lately I'm loving their quick history lessons on design icons and architectural details; little refreshers are nice sometimes! 4. Emporium Pies - It is a beautiful site, and it is all about pie. Where can you go wrong? Alison, thank you for your picks! We agree - Pequod's is hands down Chicago's best deep dish pizza and we crave jeni's ice cream on the regular (I'm partial to the goat cheese & red cherries). And a picnic and movie in the park will be just what the doctor ordered after this long winter! Check out Allison's work at Tiny Bold and her fun blog series Mini Mighty Mondays. You can also find and follow her on Facebook, Instagram, Twitter and Pinterest.